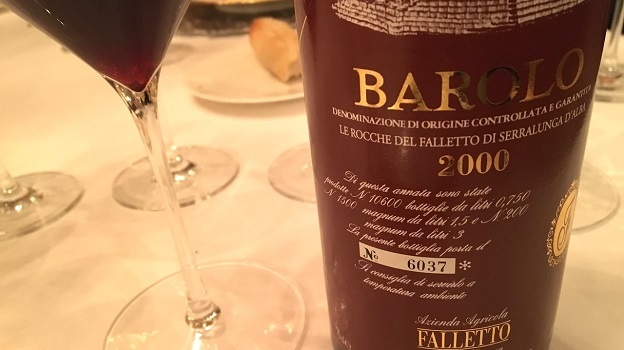 I have had mixed experiences with Bruno Giacosa’s 2000 Barolo Riserva Le Rocche del Falletto, but this bottle, from a case I purchased on release, is absolutely stellar. Intensely sweet, floral aromas soar from the glass. Radiant, open-knit and super-expressive, the Riserva captures all the best qualities of the vintage. It has been a few years since I last tasted the 2000. In that time, the wine appears to have barely budged at all, which will come as welcome news to readers who own it. The 2000 Riserva doesn’t quite reach the heights of the truly epic Giacosa wines of the era, but it comes close, especially on this night. I can only hope that future bottles show this well. 97/Drink 2016-2030.